I&apos;m Molly Winters. I am known in Goode High as one of those "nobodies". "Mr. Jackson!" Ms. Daniella scolded. "How many times do I have to tell you not to sleep in class?" "Sorry! Miss--" Percy replied apparently forgetting our teacher&apos;s name. A lot of girls giggled. I sighed. Sure, he is handsome with his sea green eyes and strong-build. But, he&apos;s probably one of those players. I was walking toward my locker when I saw a pretty blonde girl. She looked lost. I walked towards her hoping that she would not turn out like one of those sluts. "Hey, I&apos;m Molly Winters. Do you need any help?" I asked. "Oh, yes please." She nodded her head furiously. Only then did I notice she had calculating stormy gray eyes. "Can you lead me to the library? I told my boyfriend that I&apos;d meet him there. 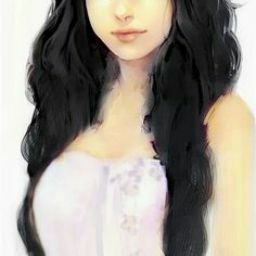 I&apos;m Annabeth Chase by the way." "Follow me." I told her. "I was just going there." As I led her to the library I learned that she and her boyfriend had been going out for the past two years. They met each other when they were twelve at a camp for kids with ADHD and dyslexia. "Here we are" I guestured towards the library door. We entered th library and started reading. Apparently she wasn&apos;t one of those dumb blondes she was actually very smart. "Wise Girl?" A voice asked. I turned around to see--Percy Jackson? "About time you got here." Annabeth complained while rolling her eyes. "He&apos;s your boyfriend?" I asked. "So Perce, are they here?" Annabeth questioned. "Nope," he replied his grin getting wider "I&apos;m taking you to ride...Rainbow!" "I love you, Seaweed Brain." 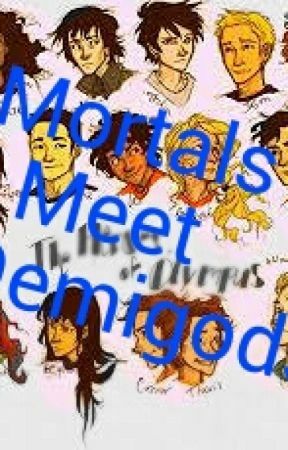 Annabeth said. "Me too, Wise Girl. Me too." Then they walked off. But abruptedly stopped. "Bye Molly!" Percy yelled over his shoulder causing everyone to stare at me. He knows me? I thought. That&apos;s how I learned to never jump to conclusions.